Between the sedan and hatchback versions, the 2018 Honda Civic covers a lot of ground. For those desiring the classic subcompact sedan with segregated cabin and trunk spaces and exceptional fuel economy, the Civic delivers with room to spare. With the hatchback, extra cargo volume and versatility akin to a small SUV can be counted on. Here's a quick glance at some of their best features. Viewed as a subcompact, the sedan doesn't play by the rules with up to 39.3 inches of headroom and 42.3 inches of legroom up front while heads enjoy 36.8 inches in back with legs stretching out to 37.4 inches. 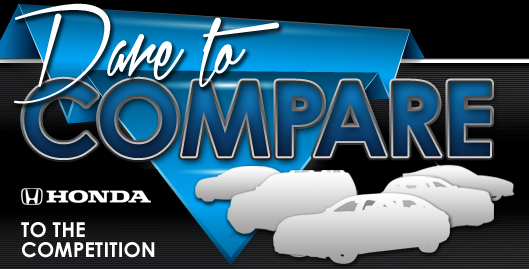 Remarkably, identical front space and similar back dimensions are offered by the hatchback in all five of its models such as the LX, Sport, EX, EX-L Navi, and Sport Touring. Enhancing this primal comfort, the LX sedan offers extras like climate control and a 160-watt 4-speaker music system as do the hatchback LX and Sport models. The music increases to 180 watts pouring through 8 speakers on the Civic sedan EX and hatchback EX and EX-L Navi editions. The sedan and hatchback EX models also mark the switch from a 5-inch LCD touchscreen command center to a 7-inch version. Both the EX-L sedan and EX-L Navi hatchback possess an 8-way power driver seat and auto-dimming rearview mirror. The Sport hatchback lives up to its name with dual-mode paddle shifters in the CVT version. It's also outfitted with a leather-wrapped steering wheel and shift knob. 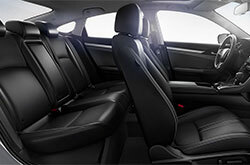 The Sport Touring hatchback goes the furthest with a 540-watt sound system with 12 speakers. At first, it appears the 2018 Civic sedan offers more choices with either a 2 liter inline-4 engine or 1.5 liter turbocharged 4-cylinder block while the hatchback is limited to the latter but a look at power shows something different. With 158 horsepower, the 2 liter model supplies effective strength for the sedan while the 174 horses generated by the 1.5 liter alternative gives that little extra boost some drivers prefer. In the hatchback, the same 174 horses are lifted to 180 horsepower in the Sport and Sport Touring models from the same engine thanks to such adjustments as the addition of dual exhaust pipes. With either the sedan or hatchback, there's a choice of 6-speed manual transmission or continuously variable transmission, CVT, to assist the selected block. No matter what combination is chosen, pleasant fuel economy ranging from 30 mpg* city and 36 mpg* highway in the Sport hatchback to 32 mpg city and 42 mpg highway in the sedan 1.5 liter block and CVT combination reminds everyone just how economical this lineup is. The 2018 Honda Civic sedan and hatchback have their unique characteristics but not with regards to safety. Anti-lock brakes, traction and stability control, airbags, and a rearview camera are par for the course. 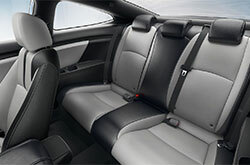 Additionally, depending on the model, the Honda Sense safety suite comes as a standard or optional package. This package includes frontal collision warning with automatic braking along with lane departure alarm and lane holding. Explore the performance, fuel efficiency and advanced safety features of the 2018 Honda Civic. 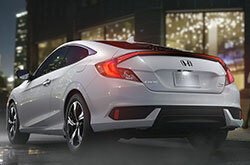 Stop by our Honda dealership in Phoenix to learn more and test drive your next Honda Civic today!